Dialpad is communications simplified for every business. Available on any device, anywhere, Dialpad includes voice, video, messaging and meetings; and is integrated with Microsoft Office 365 and Google's G Suite. Dialpad is also the only business communications system built on the Google Cloud Platform. Today, over 48,000 customers and more than 65 percent of the Fortune 500 have joined Dialpad’s mission to kill the desk phone, including Uber, Motorola Solutions, Vivint Solar, Xero, Financial Times, Betterment, PagerDuty, Stripe, Quora, and others. Dialpad is funded by some of the world's best recognized investors including Amasia, Andreessen Horowitz, Felicis Ventures, GV (formerly Google Ventures), Section 32, Softbank and Work-Bench. 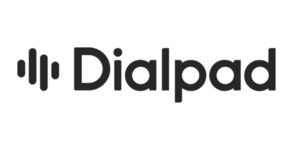 To learn more about our mission to kill the desk phone, visit dialpad.com and follow @DialpadHQ on Twitter or like us on Facebook. Dialpad is communications simplified for every business. Available on any device, anywhere, Dialpad includes voice, video, messaging and meetings; and is integrated with Microsoft Office 365 and Google's G Suite. Dialpad is also the only business communications system built on the Google Cloud Platform. Today, over 50,000 customers and more than 65 percent of the Fortune 500 have joined Dialpad's mission to kill the desk phone, including Uber, Motorola Solutions, Vivint Solar, Xero, Financial Times, Betterment, PagerDuty, Stripe, Quora, and others. Dialpad is funded by some of the world's best-recognized investors including Amasia, Andreessen Horowitz, Felicis Ventures, GV (formerly Google Ventures), Section 32, Softbank and Work-Bench. Dialpad added a press mention.